Hasselblad X1D is a handmade, mirrorless camera made in Sweden. It's quite compact, ergonomic and weighs less than the other digital cameras found in the market. It's beautiful camera, with powerful technology which can capture all pictures so beautifully, and since it is light weight, it's easier to carry too. The X1D has a LCD which comes in high resolution, which controls the settings of the camera. The UI is icon based, making it easy for switching to camera, video, swipe between screens and pinch to zoom. One of the special features of this camera is the 204MP electronic viewfinder, which can capture amazing pictures, even with terrible lighting. Since it is one of the kind mirrorless design, this camera allows you to take 50 MP CMOS sensor and pack it into a footprint smaller than most full frame 35mm cameras. For the very first time, photographers have a camera that is no larger than a small format rangefinder, but offers the quality that only Hasselblad medium format can give. The X1D can capture up to 14 stops of dynamic range, allowing for unprecedented detail – from the deepest shadows to the brightest highlights. 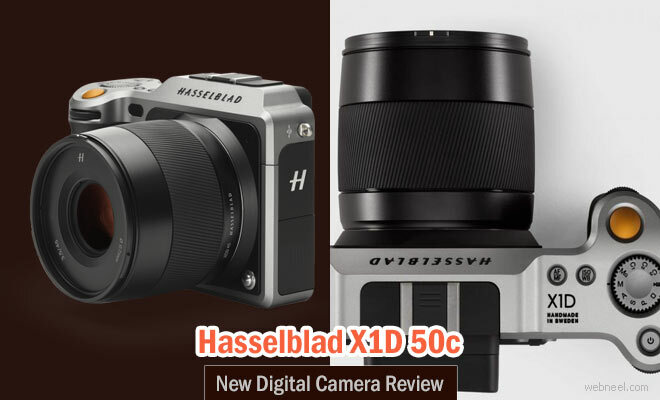 The Hasselblad X1D- 50c is expected to be shipped within a few weeks, so maybe you can expect them to hit the stores on September 15th. The pre-order sales for this camera is priced at $8995.